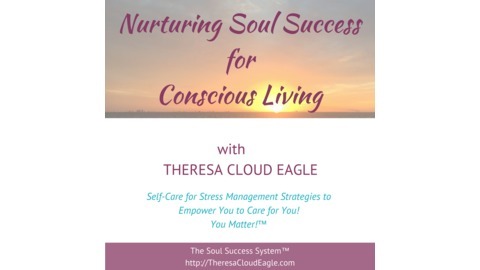 Nurturing Soul Success for Conscious Living is designed to empower, motivate, and inspire you into transforming the way you take care of yourself. 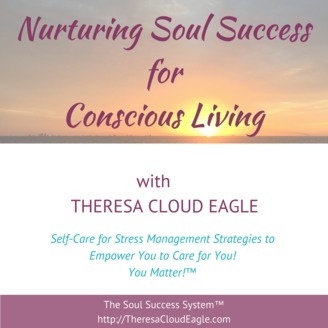 Your Host Theresa Cloud Eagle – who has over 30 years of experience living consciously – will take you on a journey with a variety of experts and professionals who have had to rethink what it means to be successful at life. A familiar theme running throughout will be how these individuals apply and teach conscious living principles and strategies to rise and stay at the top of their game in life. Marquita Miller is the founder and CEO of Five Star Tax and Business Solutions – a full service accounting firm and marketplace leader in Kansas City, Missouri. A small business expert contributor on local television morning shows & a national magazine publication, Miller holds a Bachelor’s degree in accounting and management and a Master’s degree in Business Administration. She has been selected as an Empowerment Speaker for several of Bishop T.D. Jakes’ Pastors and Leadership Conferences and is also a published author, business strategist and passionate advocate for entrepreneurship. In addition to being President of the National Speaker Association (KC Chapter), a recipient of both Women Who Mean Business and Kansas City’s Influential Woman awards and a proud member of Alpha Kappa Alpha Sorority, Marquita Miller also serves as a Board Member for Metropolitan Community College Foundation Board and Economic Development Loan Corp.